I am willing to wager that one of your goals for 2012 is to make more money online than you did in 2011. If so, great! I want to help you figure out whether you need to do more of what you did last year and/or add new business-building activities to your repertoire. Read the recommendations below for ideas that will increase your bottom line. If the blog you started in 2008 has never made a dime and the thought of trying to write yet another blog post about contact lenses leaves you cold; it's unlikely that the blog will start producing big fat commission checks this year either. Take a good hard look at your blog topic. Is there a market for its related products and services or did it decline with middle class disposable incomes during the recession? If the market has vaporized, it's time to reassess your investment in that blog. You can let it age and return to it when the market improves — or sell it. You should also re-evaluate continuing your blog if the market remains strong, yet your interest in the topic has vanished. If you can find the spark that originally inspired you to start the blog, fuel that fire! Otherwise, let it go and spare yourself the pain of boredom. Let it go, try to sell it or find someone to write for you on a regular basis. If you decide to let your blog go, start another in a more profitable and interesting niche. At a bare minimum, start building your portfolio / business card site this year. Making good use of those tools can help you make piles of ‘extra' cash in commissions. For example, you can decrease your blog's load time by using Google's Page Speed. When readers can access your content faster, your conversions will increase and you make more money. However, there are a few essential tools on which bloggers must not skimp — even if free options are available. Those who want a hobby site to entertain friends and family, can do so for free with Blogger or WordPress.com. Or, just stick with Facebook. However, to be a money-making blogger; you must invest in their own domain name and a web hosting service for that domain. (NOTE: Bluehost offers free domain registration with their hosting service). Need convincing that owning your own domain is an absolute necessity? OK, here's one of the most compelling reasons — Merchants decline applications of affiliates who use third-party hosting providers, i.e. WordPress.com, as they are regarded as unprofessional. You also need an autoresponder service. If you rely on Feedburner for blog broadcast delivery, make this the year that you start building a real list of blog subscribers whom you contact, even when you don't post to your blog. Every successful money-making blogger uses a professional autoresponder service to build their subscriber lists. I've been using Aweber for over a decade, and recommend them above all other services. If you're a new customer, you can test out an Aweber account for just a $1. A list of people who are interested in your topic and what you have to say will always be your greatest business asset. I've remained in this business for over a decade because I enjoy connecting with the people I meet online who share my interests. Feedback – positive or negative – helps me make my business better. Positive feedback tells me I've hit the mark and that I need to do more of the same. Negative feedback indicates that I need to review and revise my approach in one or more areas. Learning something new everyday encourages me to foster even more relationships and there are so many different ways to connect with people online. Responding to folks who comment on your blog is first and foremost. Not each and every one, but certainly to those who have asked a question or left a very thoughtful and detailed response. In doing so, you forge relationships and build credibility as a trusted authority in your niche. Facebook, Twitter, YouTube, LinkedIn and Flickr accounts increase your online presence. When those accounts are properly connected, posting to one will show up on others, i.e. with your YouTube and Facebook accounts connected, a video upload to YouTube will result in a notification on your Facebook page or profile. Each notification is an opportunity to bring visitors back to your blog or find new readers. Posting thoughtful comments on others' blogs not only builds backlinks, but your reputation as well. Make sure the blogs on which you post comments are in a niche relevant to your own — and don't pull any ‘cheap shoes‘ tricks. Meeting with merchants at an industry conference is another fine way to build relationships and increase your commissions as many will offer higher payouts to affiliate marketers whom they meet in person. Trading war stories with fellow bloggers is also fun, highly educational and bound to increase your bottom line. If you blogged once a week last year, try to double or triple your output in 2012. Increasing the amount of unique content that you publish is a sure way to get Google to reward you with more free traffic. More visitors always means better earnings. Don't have the time to blog more often? Consider partnering with a writer, hiring a freelancer or buying PLR. Review, revise and re-use your existing blog content. Frustrating readers with out-dated content or broken links is a sure way to make LESS money, so review your blog for posts that are out-dated or no longer relevant… but do NOT delete them. Old posts that still attract traffic can be used to redirect visitors to newer, more relevant material. Simply add a bolded notice to the top of the post with a link to the new material. Make the sentence highly noticeable by using a color not used elsewhere on your site. Check your blog regularly for broken links – I use the Broken Link Checker plugin. Check for links that DO work, but which do not link to the site or product that you intended! Sad, but true – I've come across a small percentage of merchants that will change the landing page in such a way that you will no longer be compensated for referred sales. Another option is to update and re-post articles. For example, if you promote a particular event every year (such as I do with Yanik Silver's Underground Seminar), simply put the post back into Draft mode, enter the new information and re-publish it. Read the Affiliate Marketing: Month-by-Month series of articles which highlights holidays and events. Use it to create a publishing schedule for your blog and get suggestions for products and services you might consider promoting throughout the year. To help you create a plan and stay on track with your plan without getting overwhelmed, here are some helpful articles. I wish you all the very best of blogging success in 2012! Whattya Mean You’re Not Blogging Yet? 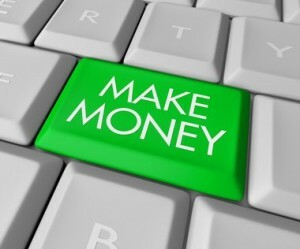 Sadly, nowadays earning moneyonline is more and more difficult, but not impossible. It’s not enough to montetize your site by adding ads or affiliate deals on it with eye catching banners. . I strongly believe that the key is in the way you promote your site and the means you use to make your blog known. Usually you can’t do that manually, so to make sure you make money you need to invest some. Hi Rosalind! Just acquired SAH (Mar 2012) and I stumbled on something a bit confusing? What is the difference between using a ‘free’ WordPress.com webhost and using a Bluehost WordPress blog? Sorry, this newbie got a little confused. Thank you for all the great tips in your blogs! You’re an inspiration! A Bluehost WordPress blog is registered to your own domain name – absolutely necessary if you want credibility as a professional online marketer. Hi Rosalind, very inspired post and useful. from this tips i clearly to setup my 2012 blogging plan. thanks a lot. Good post. I study one thing tougher on different blogs everyday. It’s going to all the time be stimulating to read content material from other writers and practice a little bit one thing from their store. I’d desire to use some with the content on my blog whether or not you don’t mind. Natually I’ll provide you with a link in your net blog. Thanks for sharing. In 2012, I commit to blog often and connect with others. You have inspired me in affiliate marketing. Keep rolling in your tips this year. Thanks ahead! I don’t know of, and probably would not recommend free email / autoresponder services. Excellent tips. This year it’s about connecting more for me. One place I noticed you hadn’t mentioned was google+. I just started playing around with it and I personally like it more than facebook. It may not be for everyone, but I find that being able to share what I want to share with only the people I decide to share it with (that’s a mouthful) is appealing to me. Good point about Google+. I don’t use it much… wish there was a direct connect between it and Facebook, or it and Twitter. I just don’t want to spend more time on another social network if I don’t have to. It’ll be interesting to see how G+ does over the next year or so. This post is way cool Roz.. thanks for the tips. I learned a few things I didn’t know and I expect they’ll help my marketing a lot. Happy new year.. and may it be your best ever! My pleasure, John and Happy New Year to you as well! So inspiring Rosalind. Thank you. My pleasure, Sasangka and you are most welcome. Last year my blog made me a pittance! I recently purchased a relatively cheap course and it just clicked. The biggest problem was that I wasn’t checking the keywords that were being used and wasn’t focussing on buyer keywords. I also wasn’t blogging enough. I think I’ve cracked it now and will blog a lot more in 2012. Thanks Rosalind. Your articles are always inspiring. I like the way you weave your affiliate links smoothly and naturally within the text. That alone is a big lesson learned. Yes, there is a lot to learn if you are going to do affiliate marketing right. As for choosing an affiliate program.. the Super Affiliate Handbook goes into great detail on how to choose the best affiliate programs. You had me at the first point. I just renewed two sites that I’m really no longer interested in but spent so much time creating content over the past two years that they are difficult to let go. While I really don’t want to take the time to sell them, another learning curve, I hate to see them languish. Several other points in this post had me jotting notes to look further into my business and what I need to do to step up a notch or two. Thank you for such an informative post. Now I need to put some points into practice. I’m so glad to hear that you found the post useful! Thanks Ros for this post. I’ve read about most of these points previously in various other places, and here you have condensed it into a nice neat little package for easy reference. Thanks for the kudos. Glad I could help. Great tips for 2012 Rosalind.. I like the tip on checking broken links and re-linking to new posts from old. Interlinking post is always smart, but linking much older established posts with newer ones is even more SEO friendly. You are one of my top favorites. I purchased your SAH in May of 2007, but so many things happened since then, not least of which my beloved mother passed away. However, I very much need to make money online and want to know if the information in the Super Affiliate Handbook is pretty much relevant now, or do you have an update to it, since so many things have changed on the internet. Please advise.